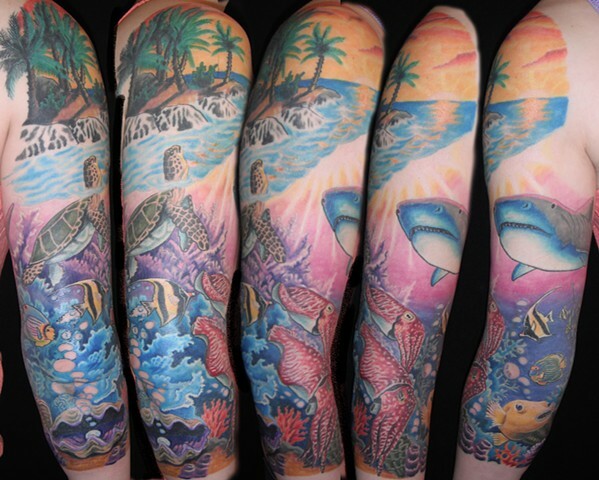 Upon deciding to get a sleeve, Lisa wanted me to create a colourful version of an Hawaiian aquatic scene. This was a very fun project for me and reminds me of personal trips of diving in Hawaii every time I look at it. Thanks Lisa for letting me produce this for you!